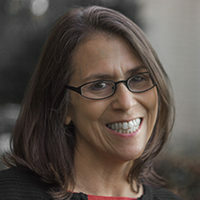 Nanci Pedulla, director of Healthy Families, a Northern Virginia Family Service home visiting program, has witnessed countless examples of the positive impact of home visiting programs on children and families. Families that participate voluntarily in these programs include recent immigrants, those in substance-abuse recovery, those living in communities experiencing violence, and those with children with special health or developmental needs. Nanci shared the story of one family whose child was born with Down Syndrome. Throughout the mother’s pregnancy and after the birth of her baby, the Healthy Families home visitor gently tried to prepare the mother for how to nurture a baby with Down Syndrome in a way that would promote optimal development. The mother followed the home visitor’s instructions on how to bond with her baby but steadfastly refused to believe her child had Down Syndrome. Only when the mother realized her baby wasn’t hitting developmental milestones was she willing to receive additional resources. Like this mother, Nanci understands the role of advocacy in creating a better future for kids. For years, she has made the trek from Northern Virginia to Richmond to participate in the Home Visiting Advocacy Day at the General Assembly, an event organized by the home visiting umbrella organization Families Forward Virginia. Voices for Virginia’s Children contributes to the day’s success by providing participants with data and talking points. The messaging has been working. This year the General Assembly allocated an additional $850,000 over the biennium to support the evaluation, needs assessment, and professional development for home-based parenting education programs. Healthy Families home visitors connect parents of newborns to medical providers to ensure proper medical care, including immunizations. They screen both parents for signs of depression, coach expectant mothers on proper prenatal care, and promote family self-sufficiency. Nanci said she appreciates Voices’ support of the home visiting network. Voices’ KIDS COUNT data informs her advocacy and grant writing. She had especially high praise for Mary Beth Testa, Voices’ Northern Virginia consultant. Together, Healthy Families, other home visiting programs, and Voices are making a difference for Virginia’s youngest residents. To learn more about Voices’ recent work on home visiting and other early childhood issues, read our “2018 Early Childhood Agenda” blog and our “2018 Legislative Agenda Highlights” blog.